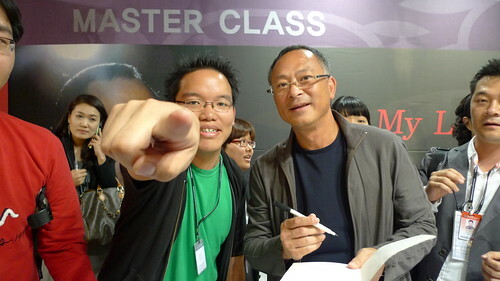 Johnnie To has long been one of my heroes. Of course, in truth I grew up watching his films from his studio days, ALL ABOUT AH LONG was one of the most painful films I ever seen as a child, I was traumatized when I saw what Chow Yun-Fat's Ah Long character endured during the climatic motorbike race. Then there was the funny EIGHT HAPPINESS, an ensemble film in the vein of ALL'S WELL ENDS WELL (comedies that revolve around members of a single family), this year's ALL'S WELL ENDS WELL 2009 cemented my realization that they don't make films like them anymore. Then there was also some of Stephen Chow's biggest comedies in the early 90s, like JUSTICE MY FOOT, or the HEROIC TRIO (and its much darker sequel THE EXECUTIONERS) starring Anita Mui, Michelle Yeoh and Maggie Cheung, I miss the vibrant energy of such films. Then Johnnie To started his Milkyway company in the mid 90s, directing landmark films like THE MISSION, PTU, ELECTION 1 and 2 etc. At the same time, he balanced it with commercial comedy hits with the Andy Lau - Sammi Cheng pairing like NEEDING YOU and LOVE ON A DIET. There are some misfires, of course, but I always marvel at how prolific and versatile he is, something I myself as a filmmaker would hope to emulate. 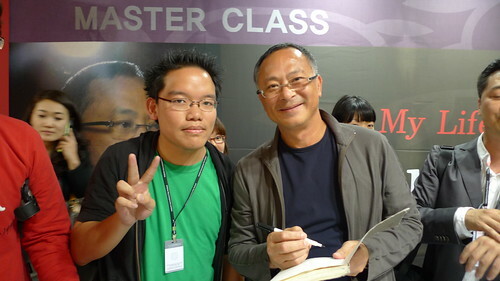 So when I knew that Johnnie To was giving a master class at the Pusan Film Fest, I signed up without any hesitation and headed straight to the first row. 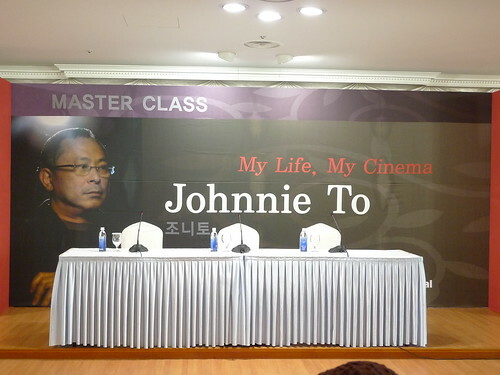 The Master Class was like a 2-hour Q and A session that didn't really go too technical (nope, nothing of him teaching in detail how he crafted his shoot out scenes), but more of him telling 9 chapters of his life and filmmaking career. For a better synopsis of his Master Class, go to here and here. It was a little grueling for me because while I understood perfectly what he said (in Cantonese), I had to wait patiently for the Korean translator to translate everything before he moved on to his next point, and since most questions were asked by Korean audience members, and the questions weren't translated back to Cantonese, i was more than a little lost, haha. Yet I liked his last line, where he said that "in the end, no one will give you chances/ opportunities except yourself." When the Master Class ended, everyone mobbed him for photographs and autographs. I waited a few minutes BEFORE mobbing him for photograph. It's a travesty that Johnnie To still doesn't have an entry at Senses of Cinema's Great Directors database. 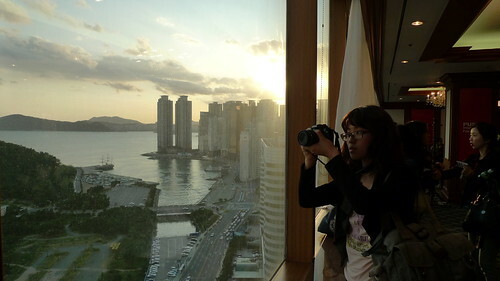 I then headed back to my hotel to prepare for the official world premiere of WOMAN ON FIRE LOOKS FOR WATER. Look out for the next entry!